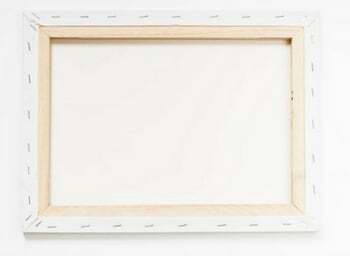 You can't go wrong with a classic! 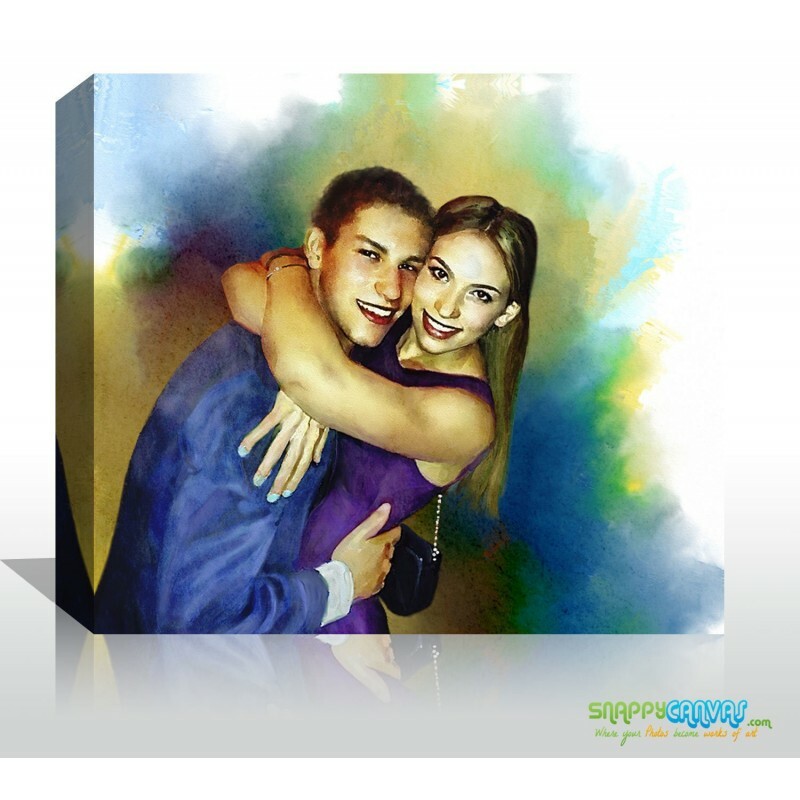 Turn your photo into a Watercolor Canvas Art Masterpiece. 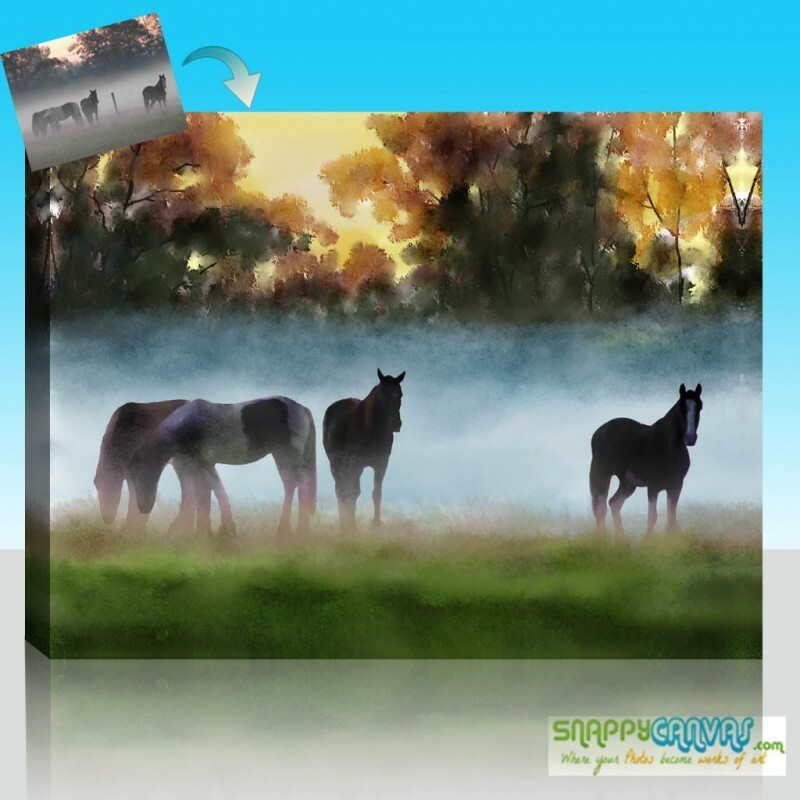 Your photos will be delicately digitally brushed into a watercolor painting by hand, one stroke at a time, by our professional artists. 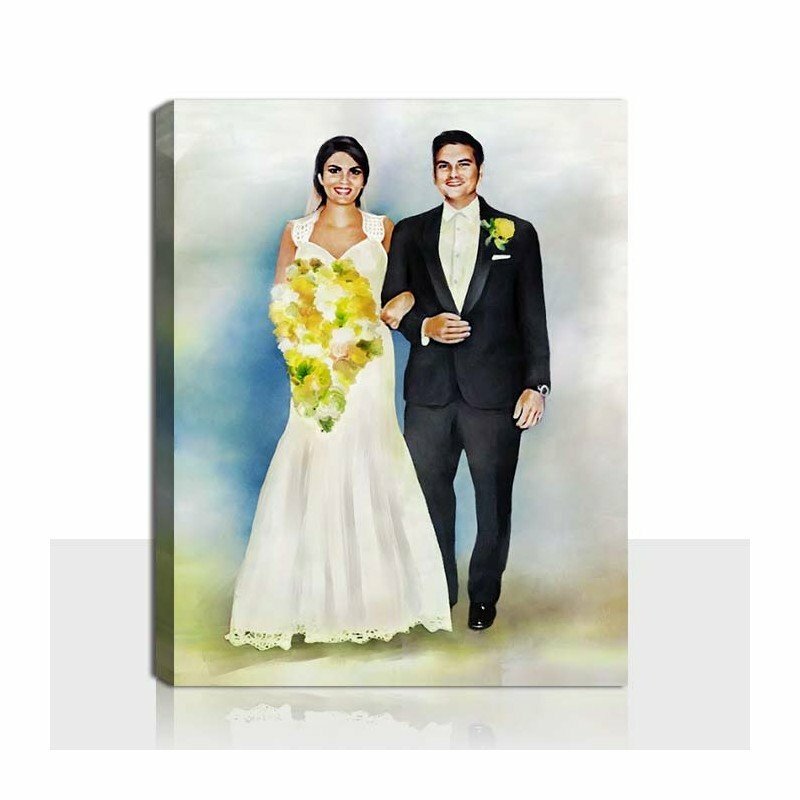 Your personalized canvas is hand stretched in the U.S.A using museum quality material. 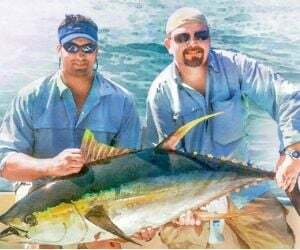 Your 100% satisfaction is our first priority. 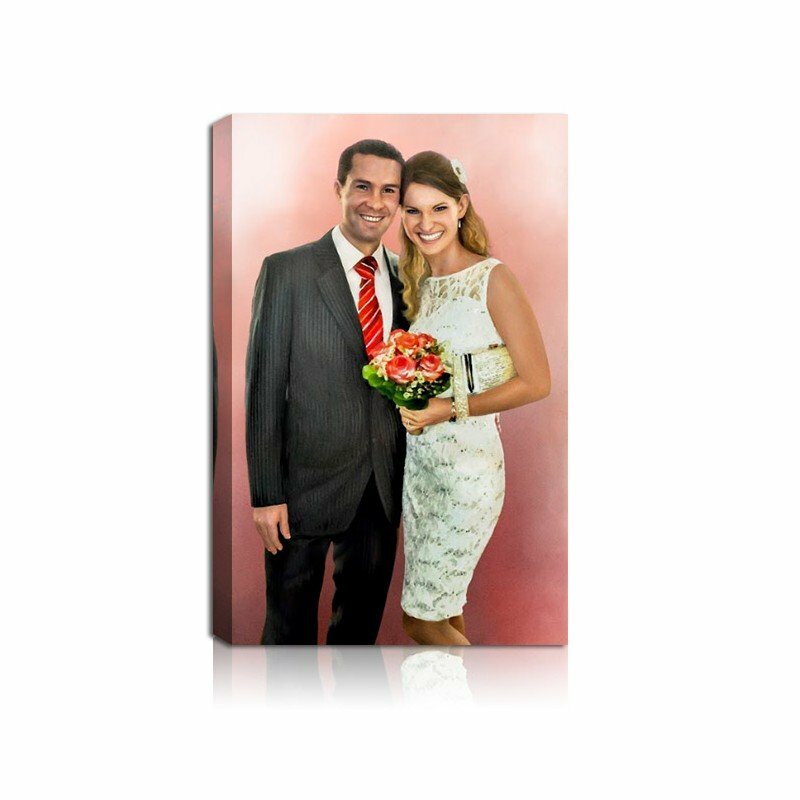 By buying this product you can collect up to 71 loyalty points. 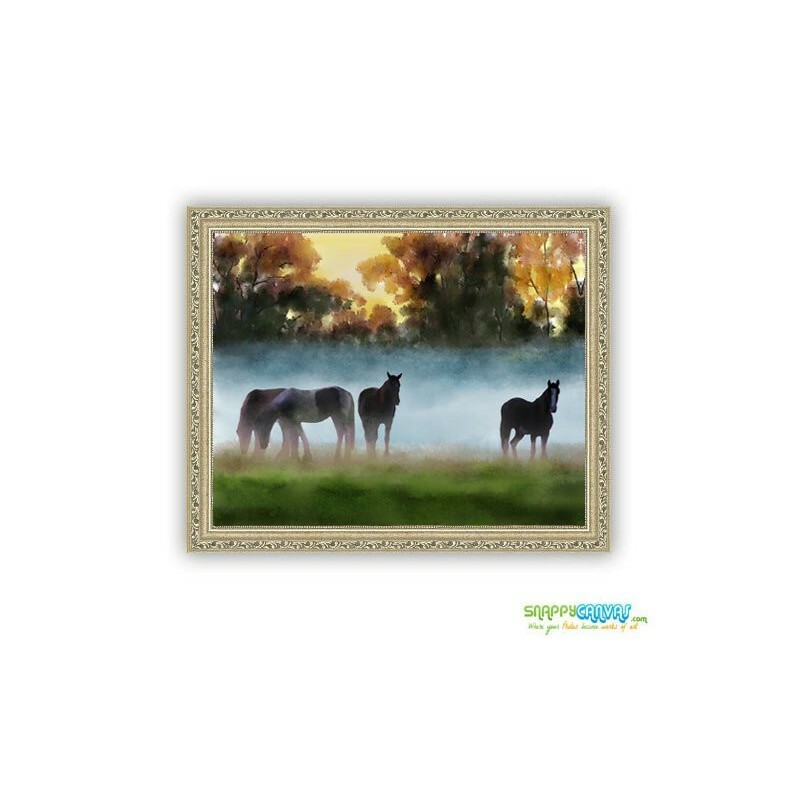 Your cart will total 71 points that can be converted into a voucher of $14. 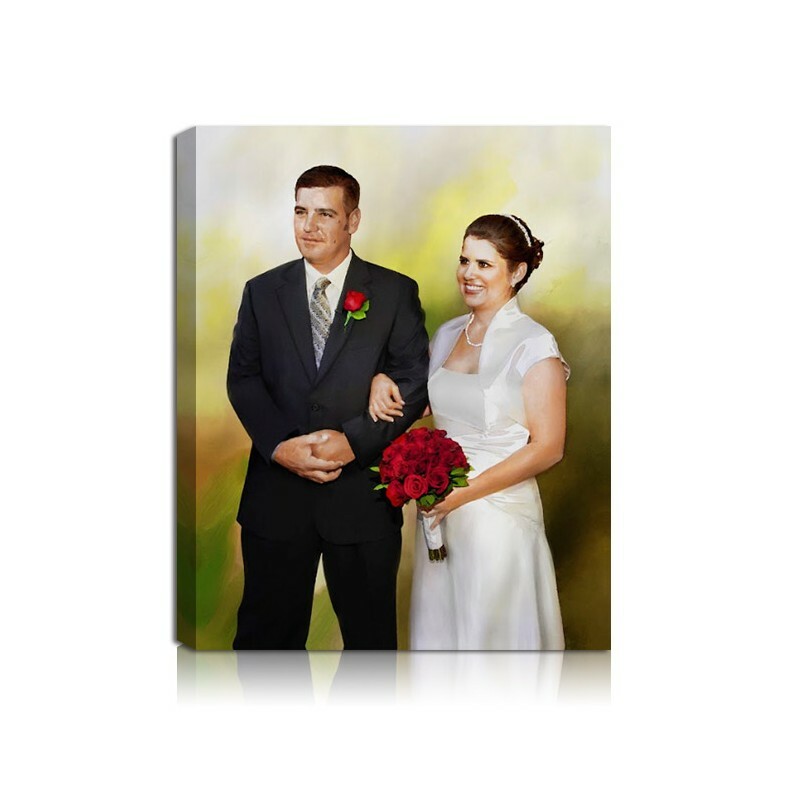 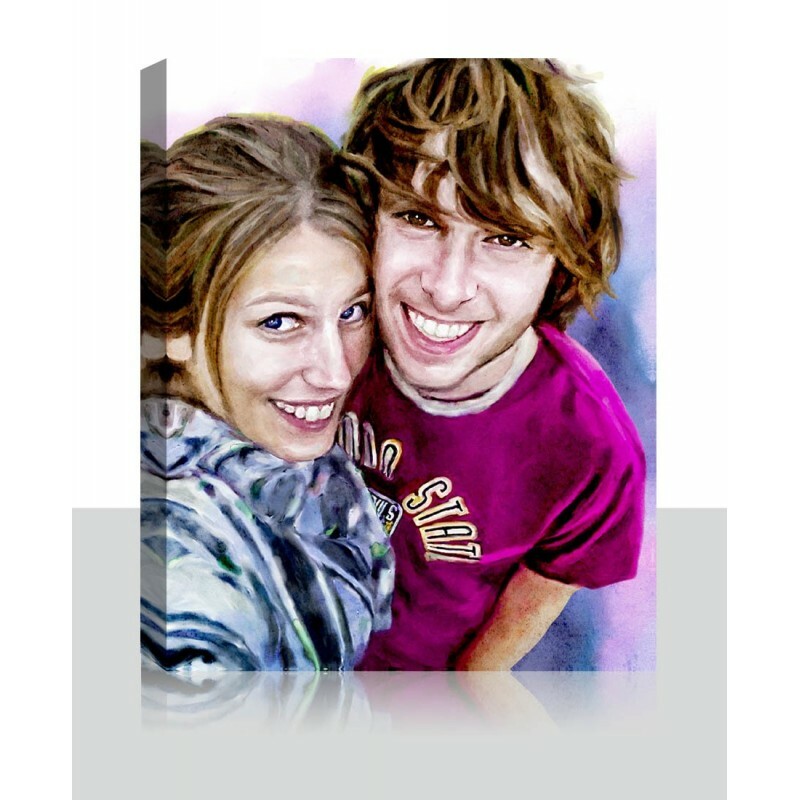 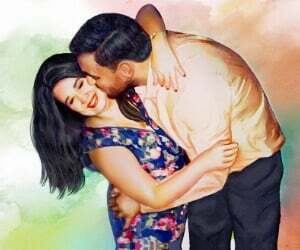 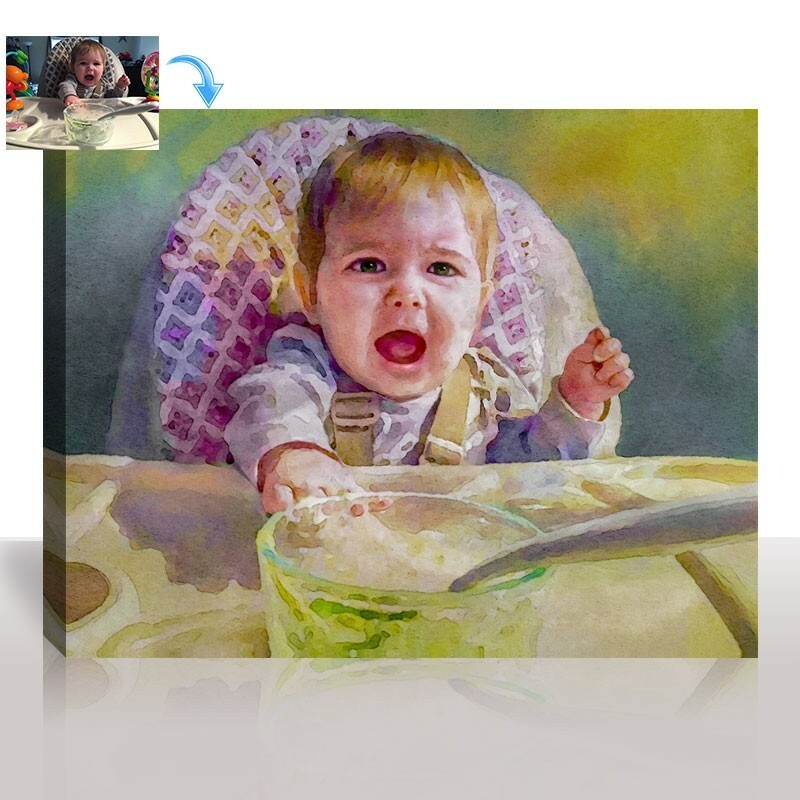 Your pictures professionally made into beautiful artwork on canvas in water color portrait style. 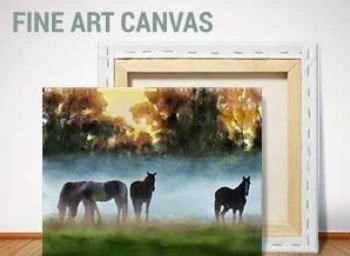 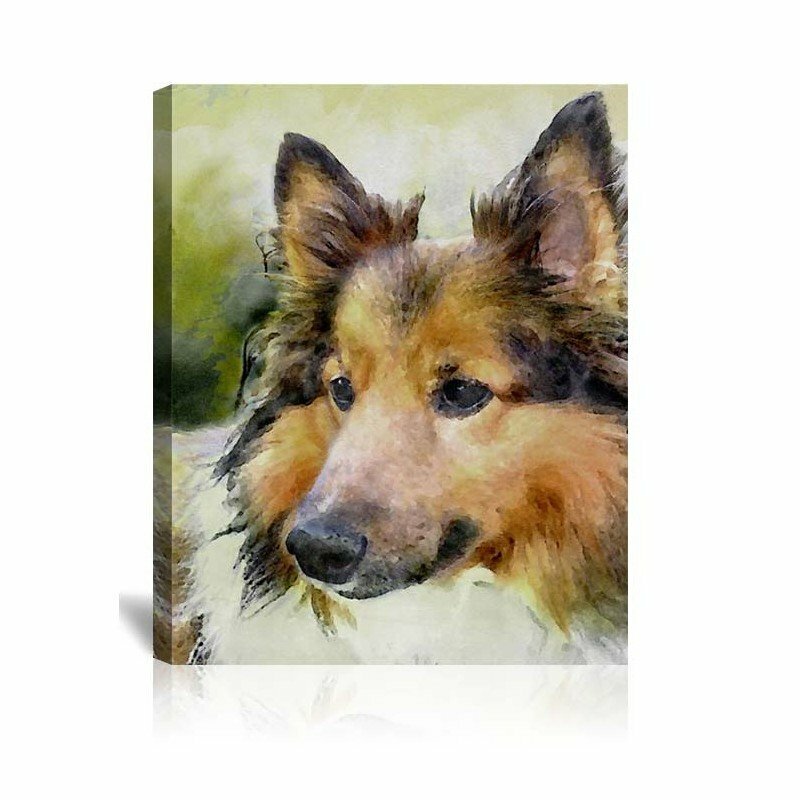 Watercolor canvas is the most flexible style of canvas art. 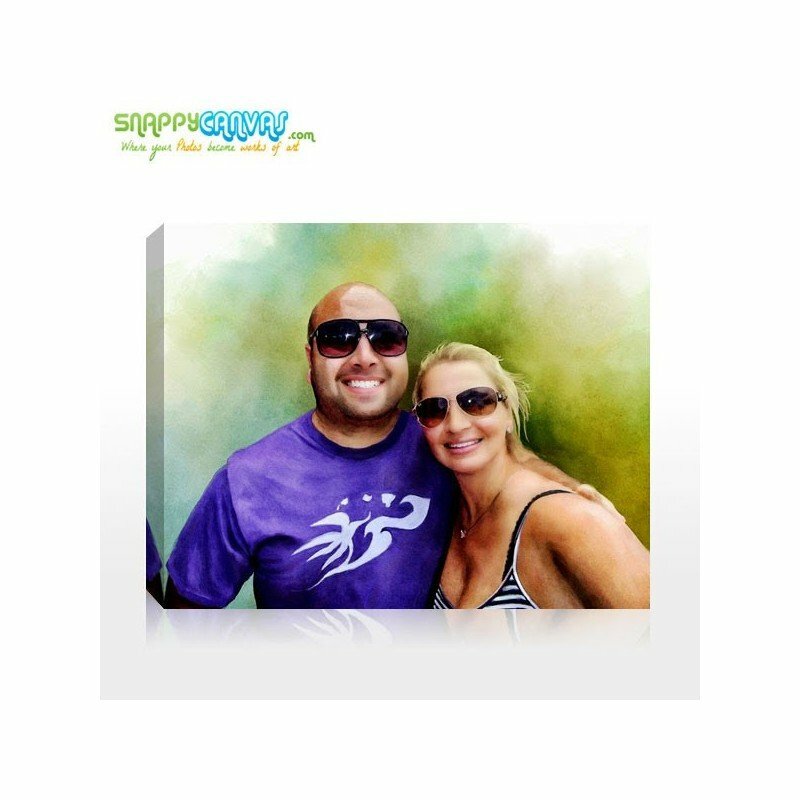 You can turn your wedding photos, graduation pictures, fun birthday snapshots, or just about any photo into a watercolor style canvas. 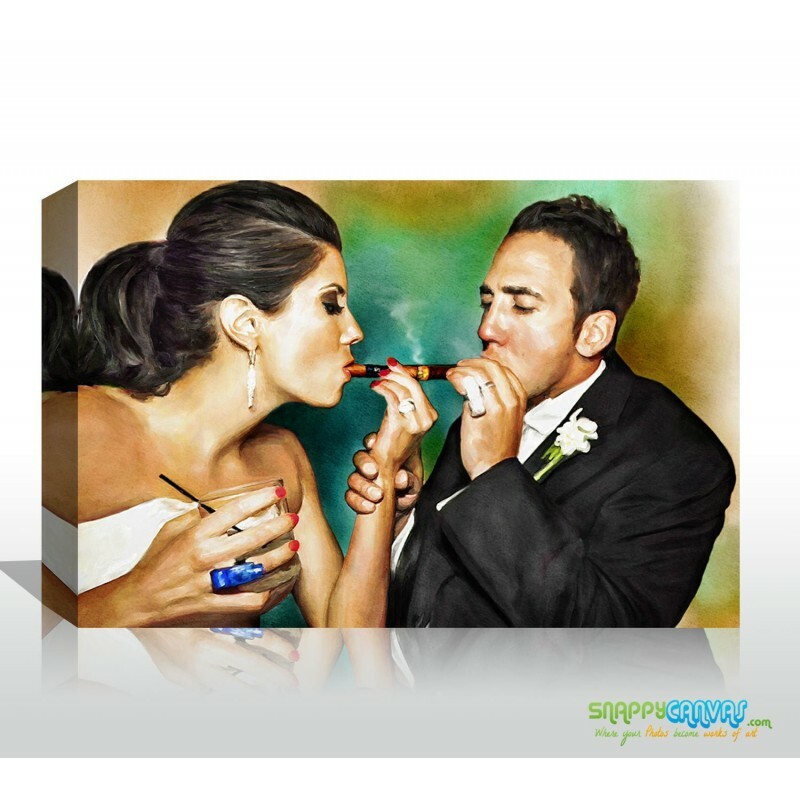 It is the perfect style that every generation appreciates and enjoys. 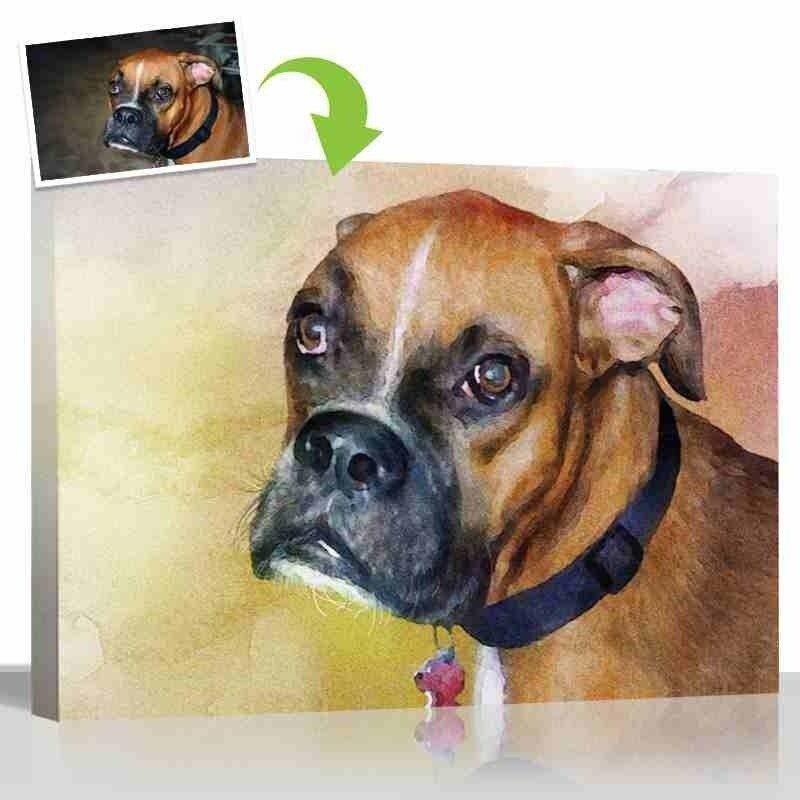 Obtain your watercolor canvas with the most advanced technology in Giclee Art Production today. 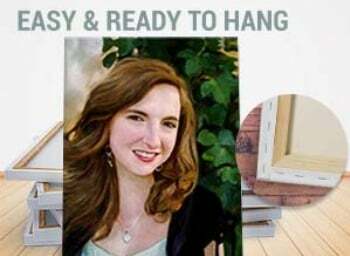 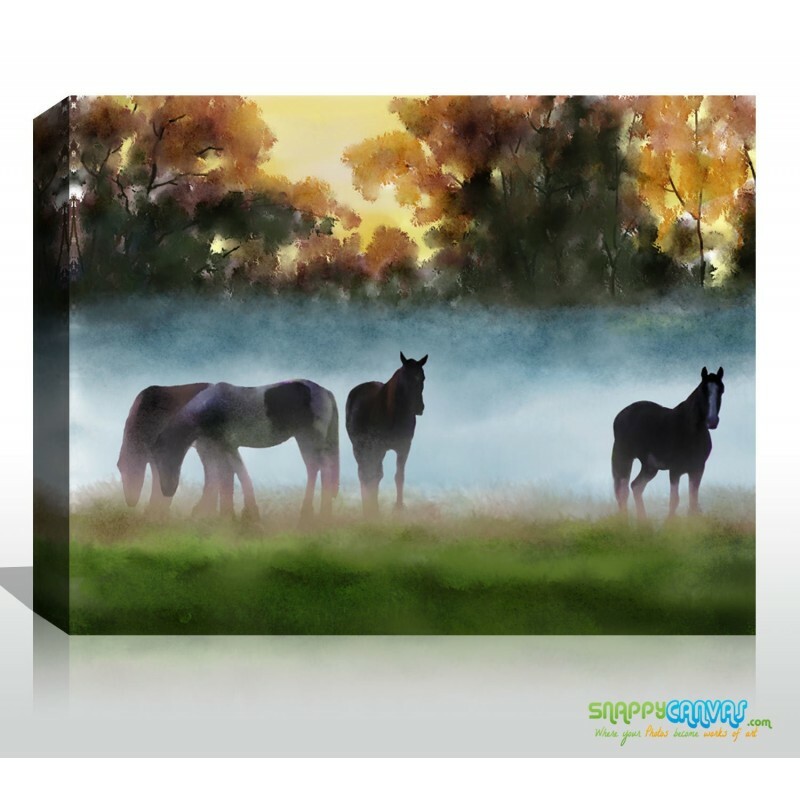 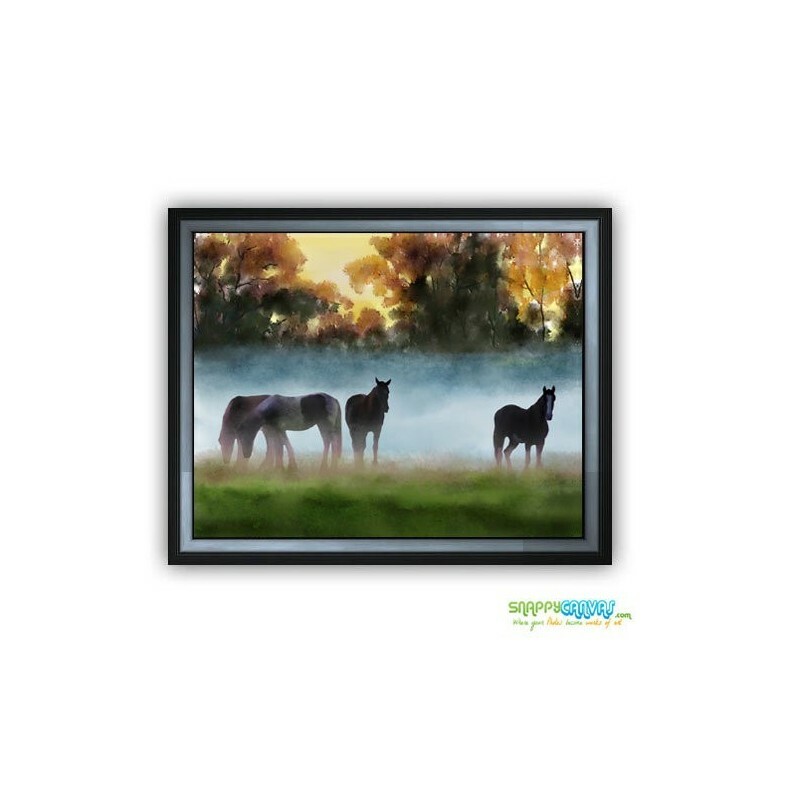 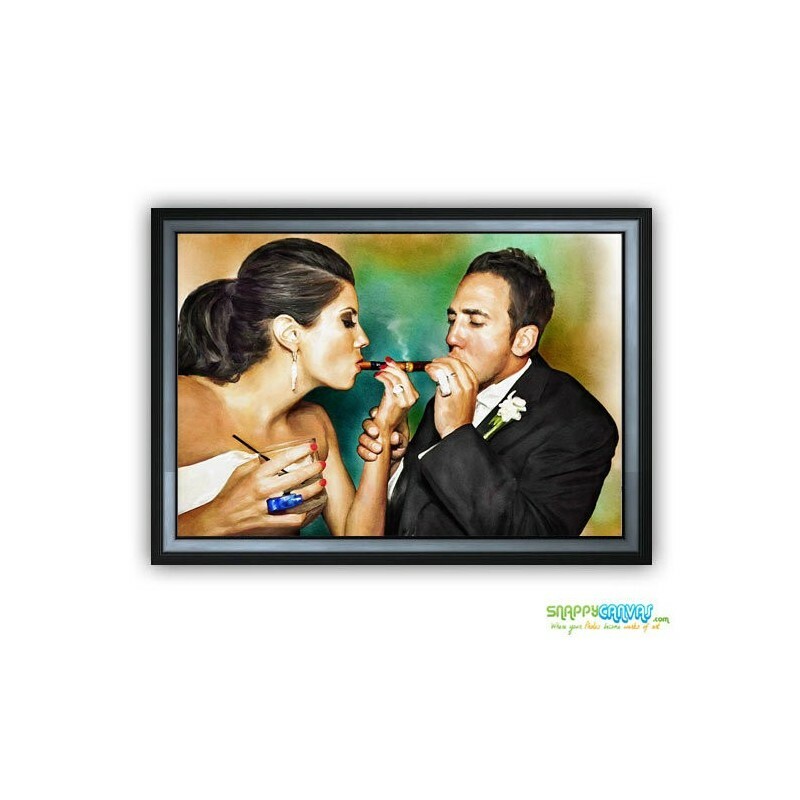 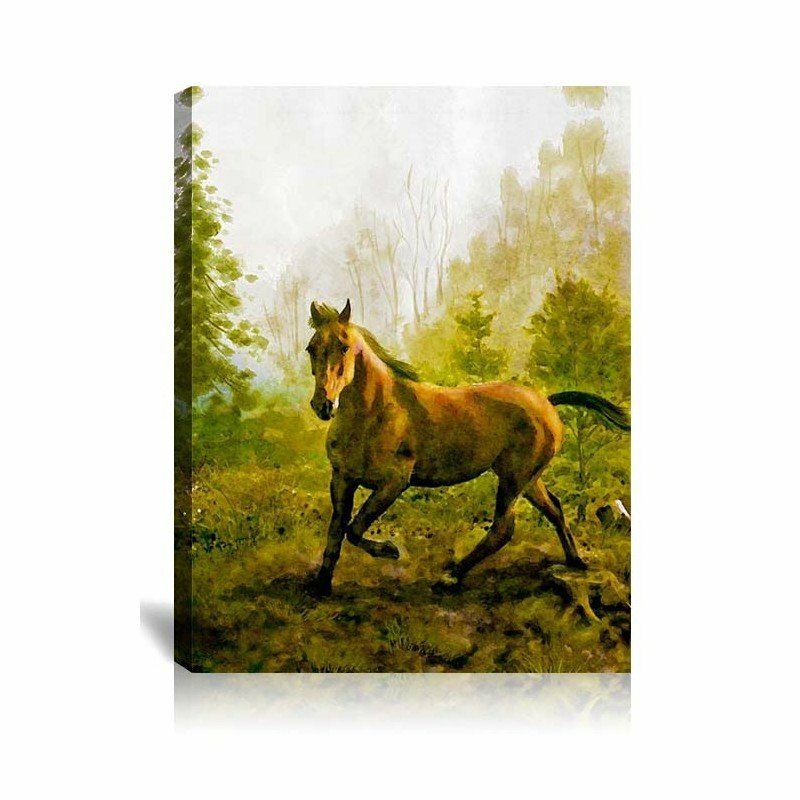 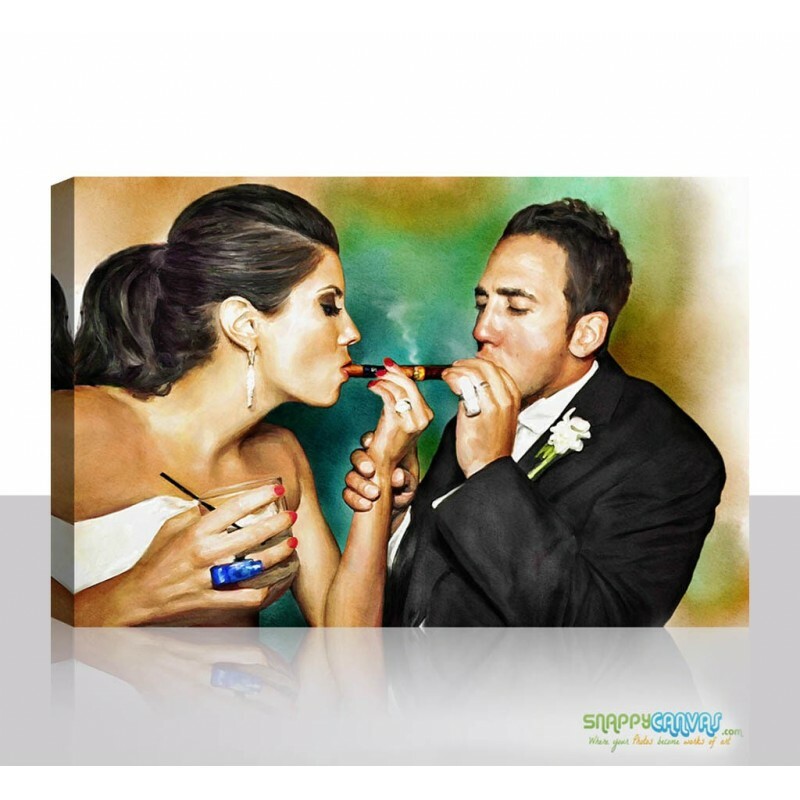 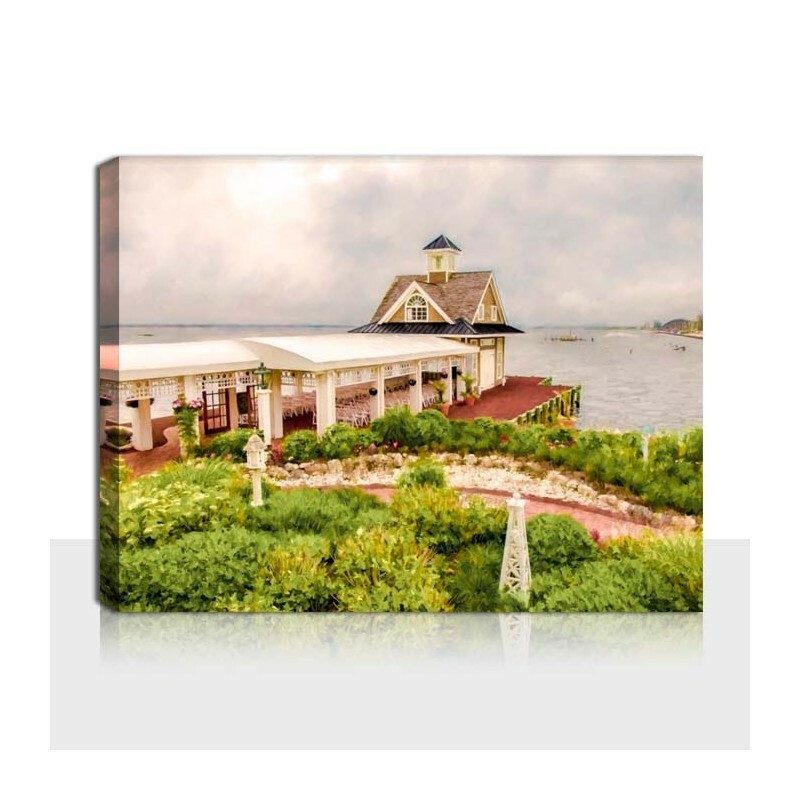 Get the most durable canvas art that will surely accompany you in years to come from Snappy Canvas. 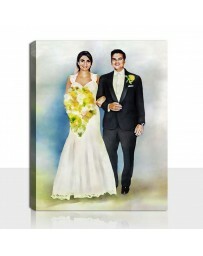 You receive your photo canvas art protected with a special coating that is water and UV rays resistant. 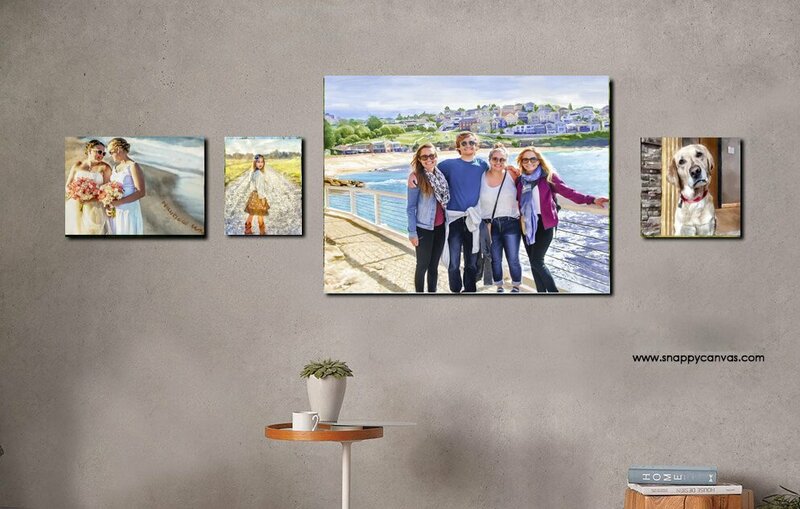 Our professional artists are on hand to assist you in your requests, and give you expert advise on how to make the most out of your photographs. 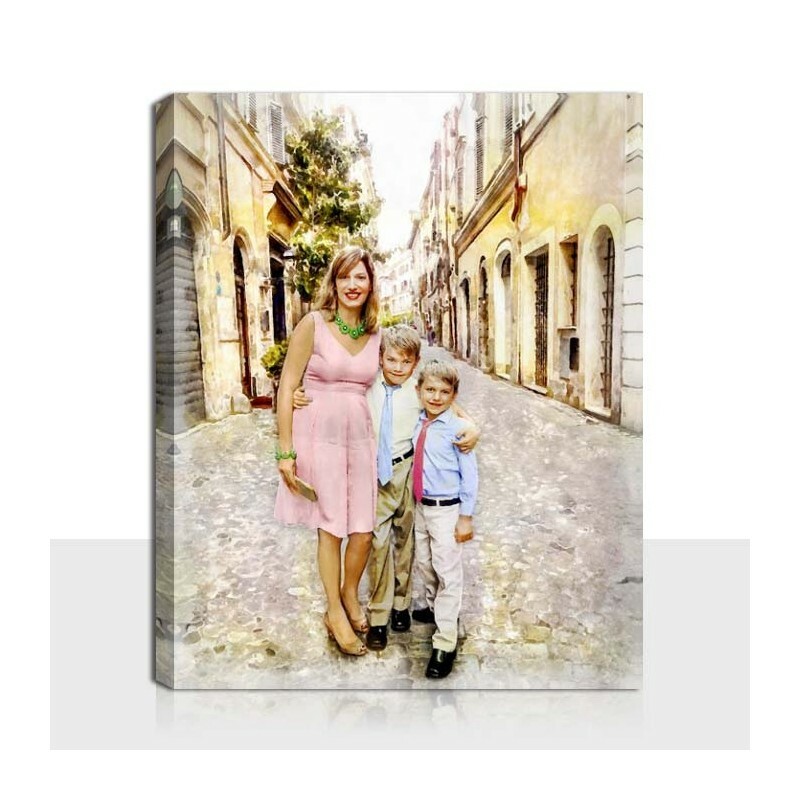 Using archival inks, you will get the most vibrant, most alive photos on canvas worthy of getting displayed for everyone to see. 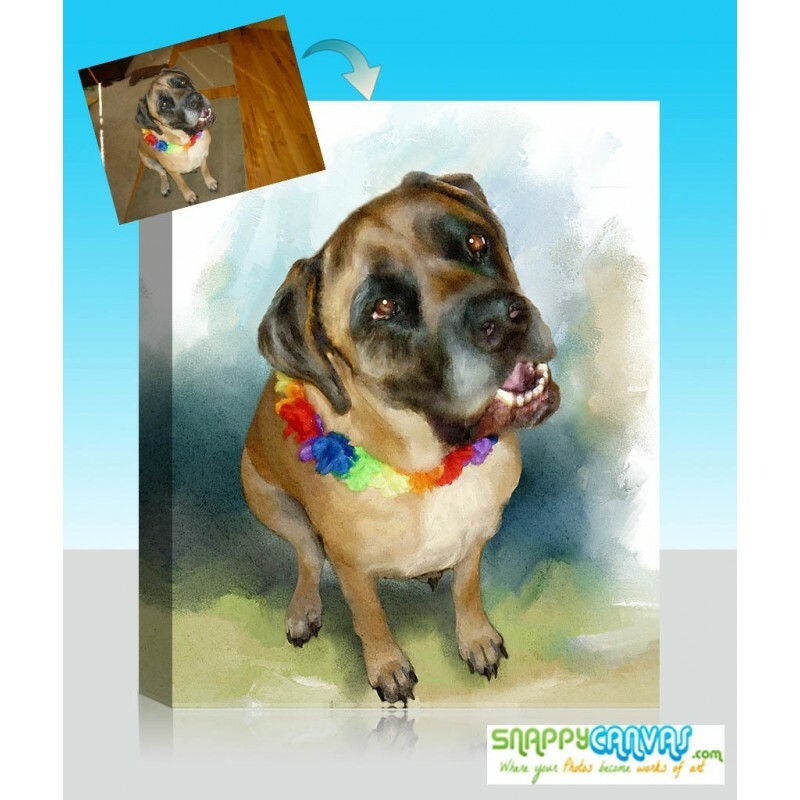 You can upload your high resolution portraits or email it to us, along with your special requests. 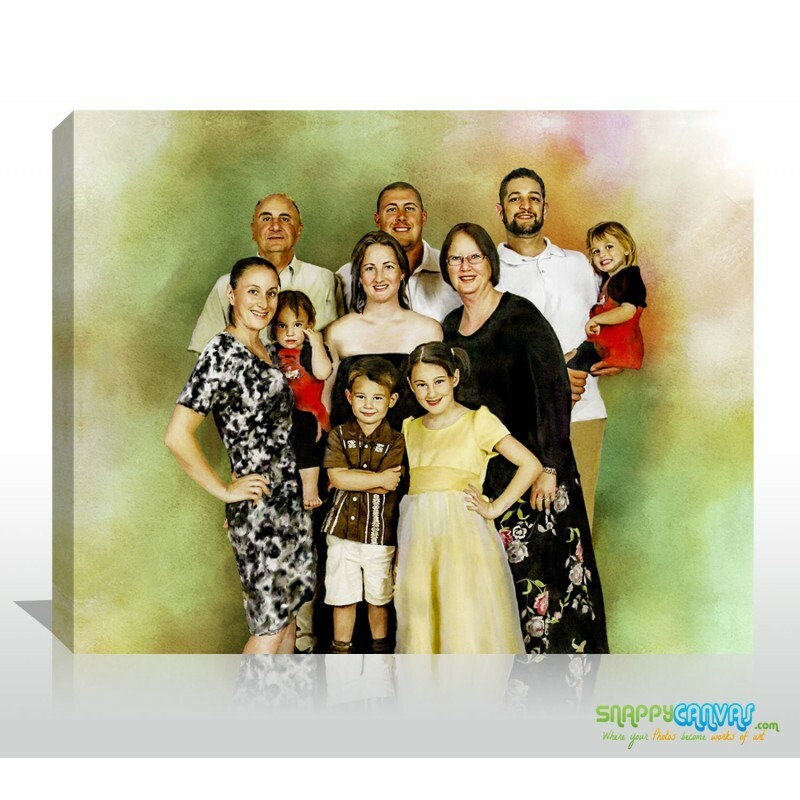 We can help improve your portraits by removing unwanted items such as buildings or other people. 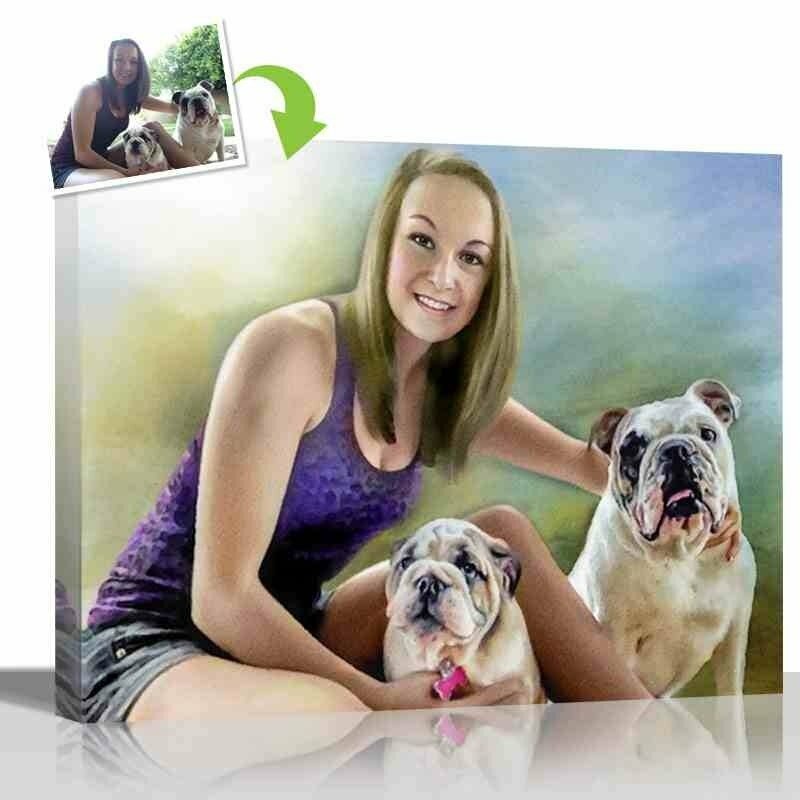 Similarly, you can update your old photographs and increase their longevity when you let us print your photos on canvas. 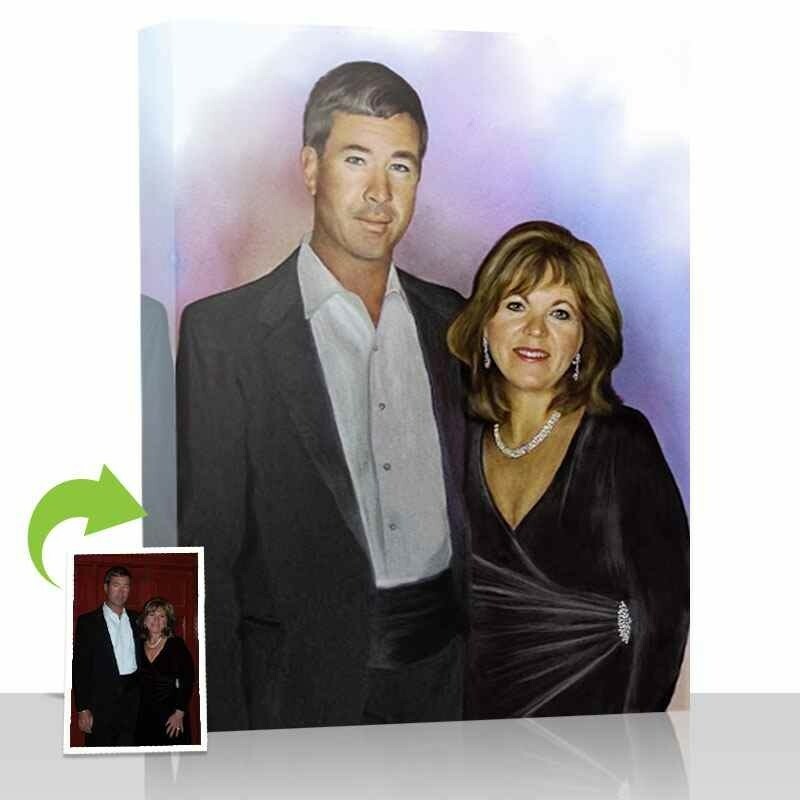 Let us convert your photo into a painting simply by uploading and ordering now. 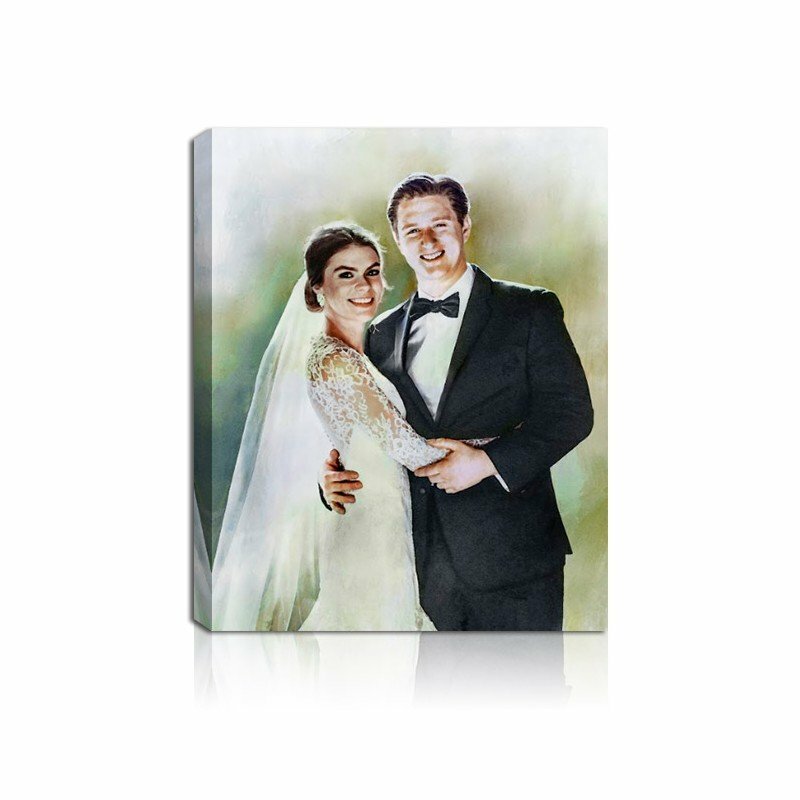 The canvas I received was absolutely perfect. 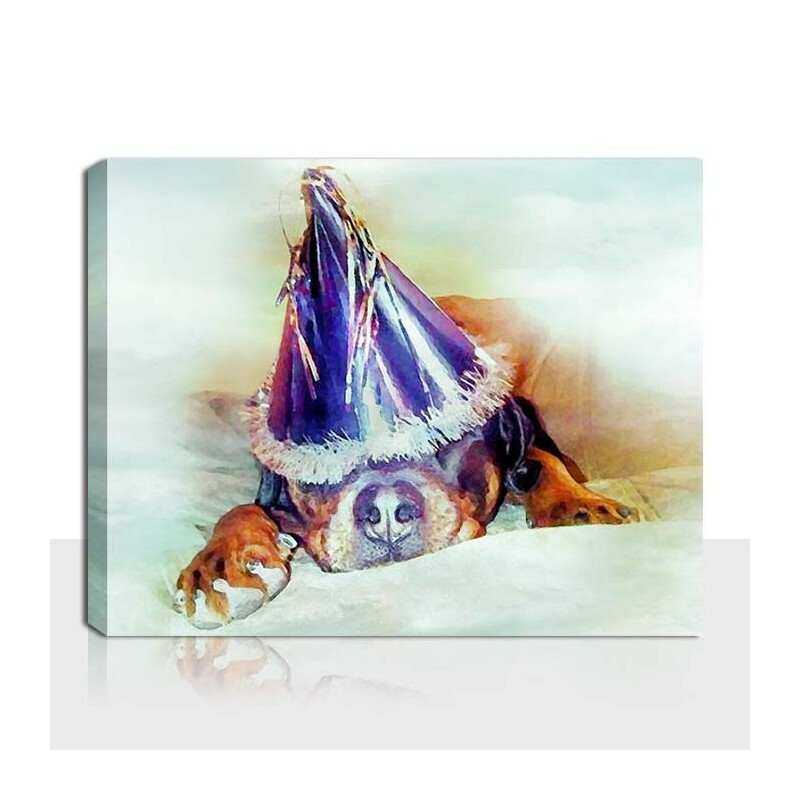 I bought this for my brother, who had just put his dog down to sleep. 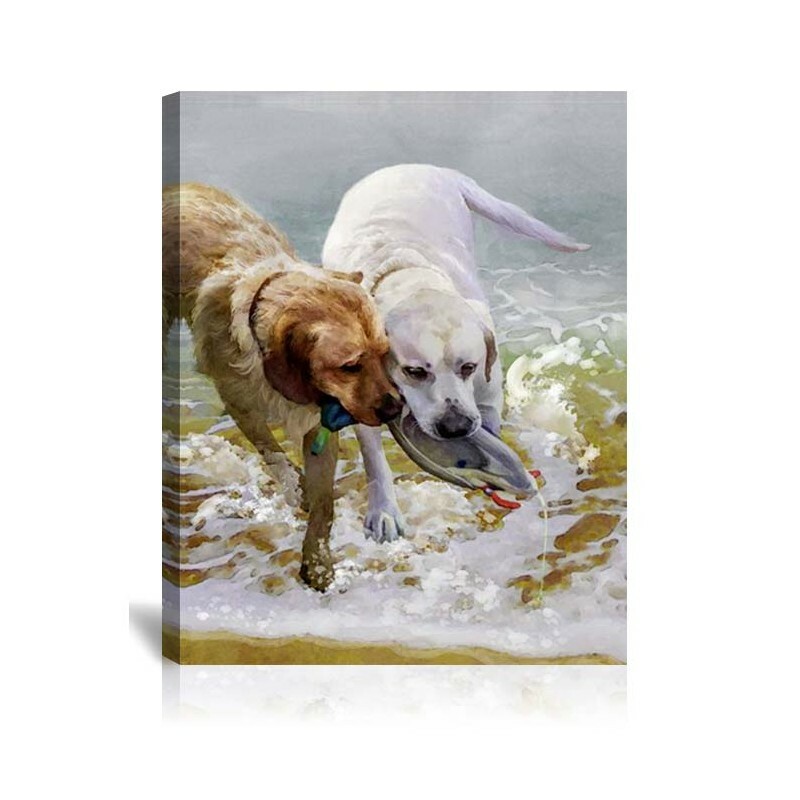 I sent in a picture of his 2 dogs, and the canvas came more beautiful than ever expected. 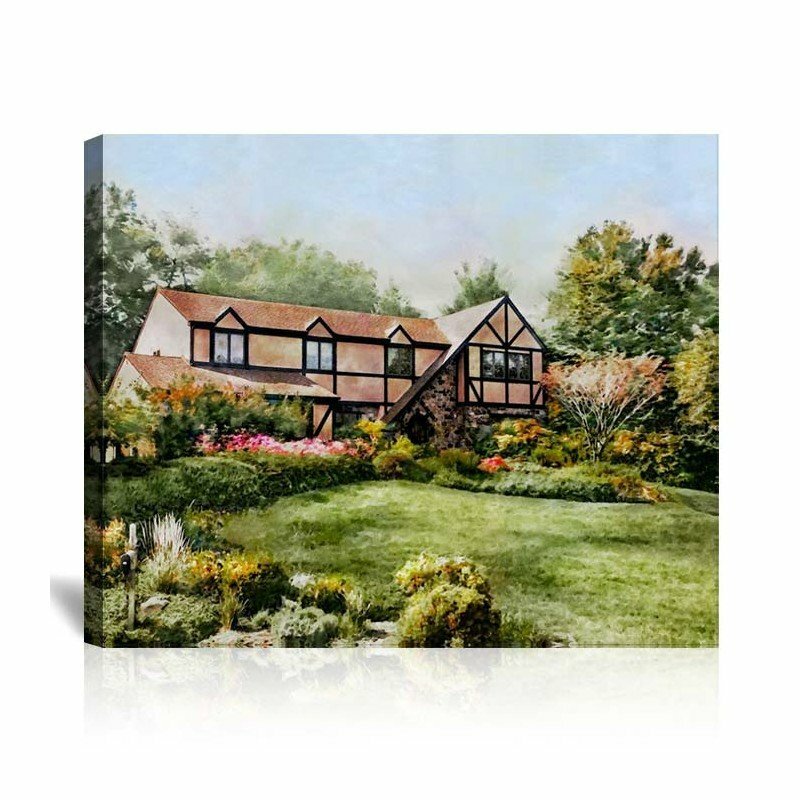 It looks even better than the picture I sent, and the hand painting is apparent. 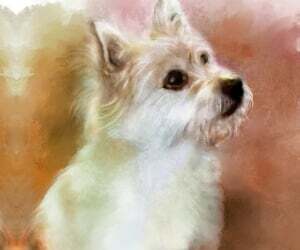 Thank you so much for allowing my brother cherish the memories of his pup in heaven.